Now we'll get back to talking about the Torrey LPC-40L scale features. Don’t have a lot of counter space but need a price computing scale for your business? Then look no further than the Tor-rey LPC-40L digital price computing scale with NTEP Legal for Trade 40 lb capacity. With a footprint of only 9" x 12", this compact LPC 40L scale has the functionality you need without requiring a lot of space. Take the guess work out of pricing with the Tor-rey LPC40L series NTEP Approved price computing scales. Designed for portable use with AC power and built in rechargeable batteries, the Torrey LPC-40L series is ideal for deli’s, bakeries, candy and coffee shops, convenience stores, produce markets, hardware stores and more. Display on front and back. The L-PC-40L is an invaluable tool for smaller markets, delis, grocery stores, butcher shops and bakeries, and is very popular at farmers markets thanks to its portability. Designed for minimum maintenance, the LPC-40L commercial scale offers an easy-to-operate keypad and easy-to-read displays on the front and back to take the guesswork out of calculations. 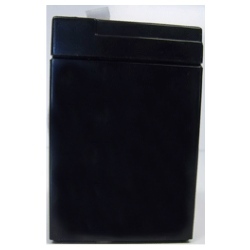 Eight direct access memory keys allow for easy access to your most common items with the added functionality to retrieve information on up to 100 additional items. Featuring an AC adapter and built-in rechargeable battery, this scale will meet virtually any weighing need in a variety of settings. 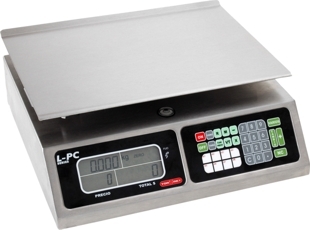 The L-PC-40L will expedite the customer service process and help avoid weighing mistakes by providing minimum divisions to 0.01 lbs on this 40 lb capacity scale. The brushed steel cabinet and detachable platter are easy-to-clean. So whether you’re selling produce in a farmer’s market, weighing fudge in a candy shop, or pricing sliced ham in a butcher shop, the compact and economical Tor-rey L-PC-40L offers what you need. 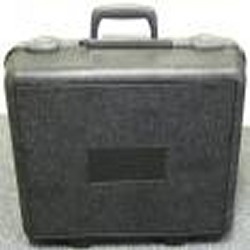 So if you need a dependable and functional scale at a very affordable price, one option is the L-PC-40L scale.